In a way, we already know how Star Wars Rebels ends. The Rebels form a strong alliance, a band of them steals the Death Star plans, Luke Skywalker blows it up, and the Empire is staggered. But before any of that can happen, the show has to answer some very important questions. 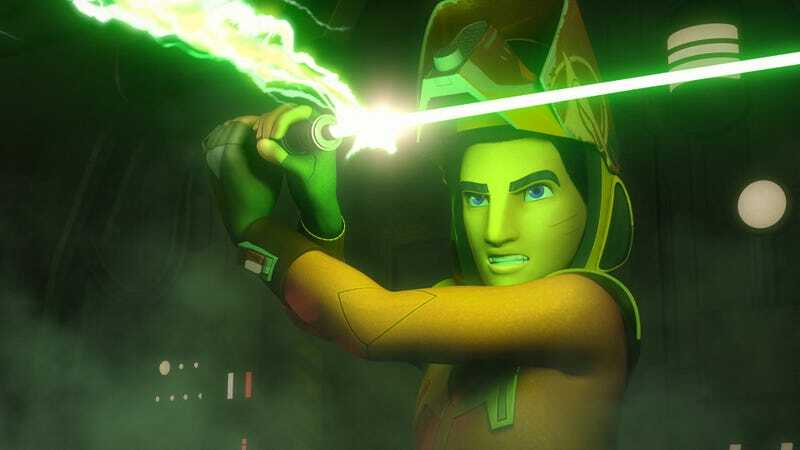 Last week, I asked Rebels executive producer Dave Filoni about the things he’s most excited to reveal in the fourth and final season. Usually, when you ask a creator questions that could result in specific, potentially spoiler-filled answers, they won’t reveal anything. But, after some internal debating, Filoni did answer, and gave three expected, but welcome, responses. Second: the Thrawn question. “We brought Thrawn into the picture, so we have to answer questions about him,” Filoni added. And third, the Ahsoka question. “And I would say, just because it’s been a constant question that I’ve gotten, people keep wondering what happens to a character like Ahsoka,” he said. Now, obviously these are the three biggest things fans wonder about Rebels, and they won’t be the only things the show addresses. But there’s definitely a level of comfort in hearing Filoni straight out suggest those questions will be answered. Star Wars Rebels airs Mondays on Disney XD.